The iPhone 5 might not have a dedicated notification light, but you can set the LED flash on its back to act like one. You enable this by going to the Accessibility features in the device's settings menu. That's the feature the team behind Sparx takes advantage of and makes it a lot more practical for every-day use. 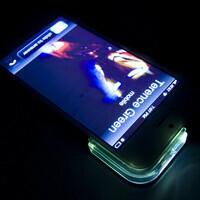 Sparx is an iPhone 5 case, the top side of which is made out of transparent plastic. When the LED is blinking, the light is diffused throughout the plastic, allowing the whole transparent section to glow. As a result, you can see the notifications even when the smartphone is lying on the table with its screen up. Moreover, the Sparx case protects your iPhone 5 and its camera from damage, just like a proper case should. It is planned to be available in a variety of colors: blue, pink, green, yellow, and more. 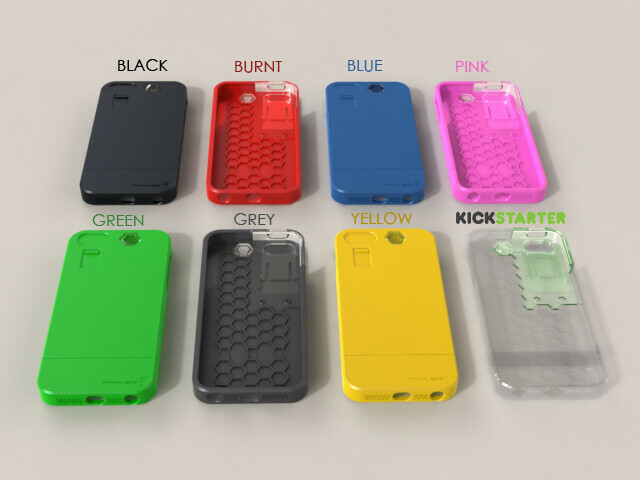 However, before anyone can buy the Sparx case for the iPhone 5, enough funding needs to be raised before its production can begin. Anyone who wants one of these can pledge $35 or more to the project on Kickstarter. you wont be saving any battery with this novelty. does the flash still function as a flash? That's a pretty cool alternative, but it sure is bright, lol. Something HTC has done for a long long time except you don't need a case & the light is not as big. Doesn't look like it offers much protection, though I guess I'm just being spoiled by otterbox. meh, the front facing LED on my SGS3 kills it, no bulky case required.